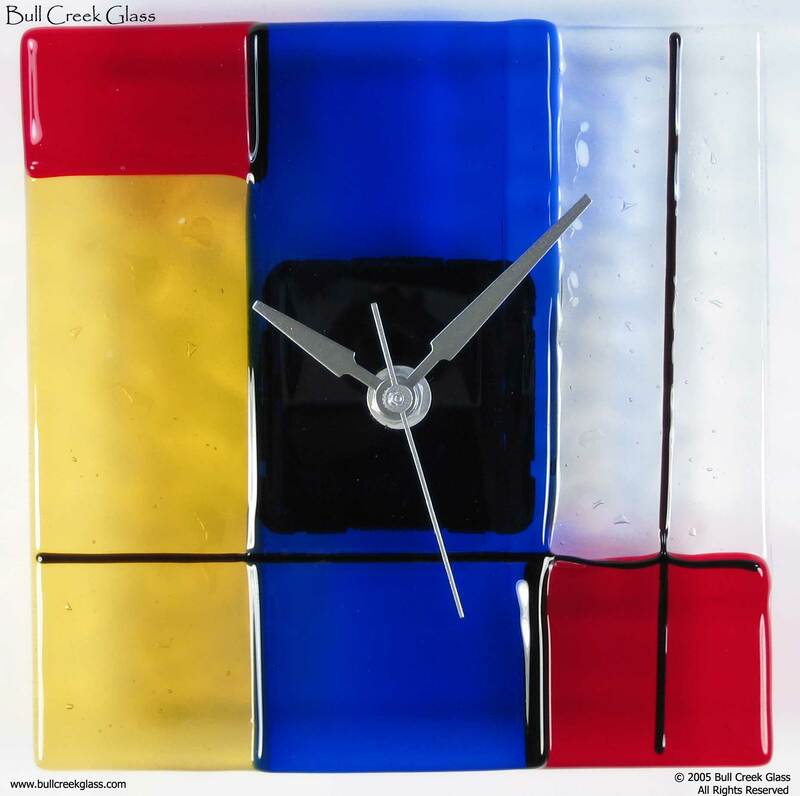 Bull Creek Glass clocks all start with an inspiration - anything from a simple shape to something in nature to contemporary art. Once an idea has formed, the fun begins - digging through containers of brightly colored glass, cutting, shaping and fitting the pieces together, all culminating with the fusing process in the glass kiln. Once the work is cool, hands are chosen to compliment the design and, with the installation of the quartz movement, a functional piece of art is formed. The clocks on the following pages come in two forms - wall/desk and pendulum. Please select the links on the left to see the current collection. Click on the individual thumbnails to see larger pictures of the clocks. 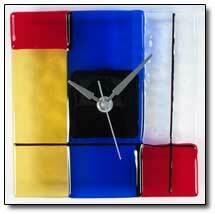 All clocks pictured on the site are available for purchase. Custom work is also an option. Please contact us for more information.